A CNN/ORC International Poll released Tuesday indicates a Democrats and Republicans don't see eye to eye on foreign policy. Americans have grown increasingly reluctant to use U.S. military force around the world, but - unlike Democrats and independents - Republicans feel that the U.S. should be ready and willing to take military action. Overall, 53% of all Americans say the U.S. should be very reluctant to use military force, up from 38% in 2002, about a year after the 9/11 attacks. But there is a big partisan divide on that question, with a majority of Democrats and independents expressing reluctance but only four in ten Republicans feeling that way. A large number of Americans don't think the U.S. should take immediate military action to get Iran to shut down its nuclear program, and on this topic Democrats, independents, and Republicans agree. Overall, only 16% of all Americans support military action now; two-thirds want to see the U.S. use economic and diplomatic efforts against Iran rather than military action. Republicans are slightly more likely to support military action, but even among that group support rises to only 22%. The main Iranian threat is not nuclear. It might become so, but even without nuclear weapons, Iran remains a threat. The current escalation originated in the American decision to withdraw from Iraq and was intensified by events in Syria. If Iran abandoned its nuclear program tomorrow, the situation would remain as complex. 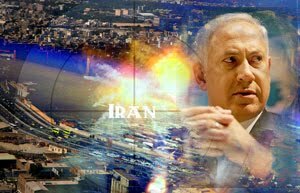 Iran has the upper hand, and the United States, Israel, Turkey and Saudi Arabia all are looking at how to turn the tables. The United States has three choices. Accept the evolution and try to live with what emerges. Attempt to make a deal with Iran — a very painful and costly one. Or go to war. The first assumes Washington can live with what emerges. The second depends on whether Iran is interested in dealing with the United States. The third depends on having enough power to wage a war and to absorb Iran’s retaliatory strikes, particularly in the Strait of Hormuz. All are dubious, so toppling al Assad is critical. It changes the game and the momentum. But even that is enormously difficult and laden with risks. We are now in the final act of Iraq, and it is even more painful than imagined. Laying this alongside the European crisis makes the idea of a systemic crisis in the global system very real.